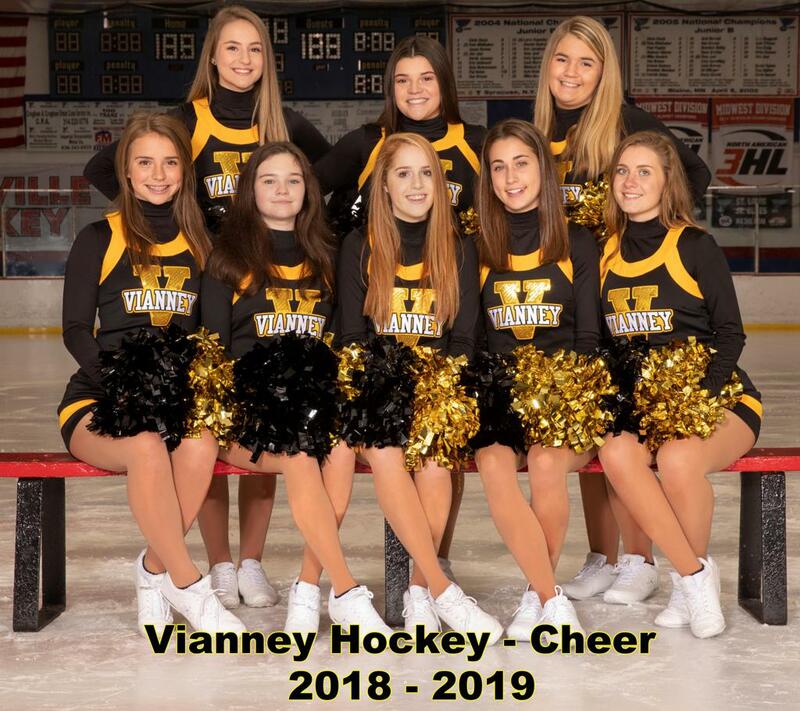 Vianney Hockey Cheer Brings Home a Winner! 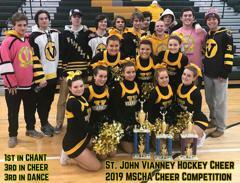 Congratulations to the 2018-2019 St. John Vianney Hockey Cheerleaders. In the MSCHA Annual Cheer Competition, the girls finished 1st in CHANT, 3rd in CHEER and 3rd in DANCE. All Players, Coaches, Administrators, Fans and Families appreciate the many hours that you commit supporting the club. Great season! ©2019 Vianney High School Hockey / SportsEngine. All Rights Reserved.